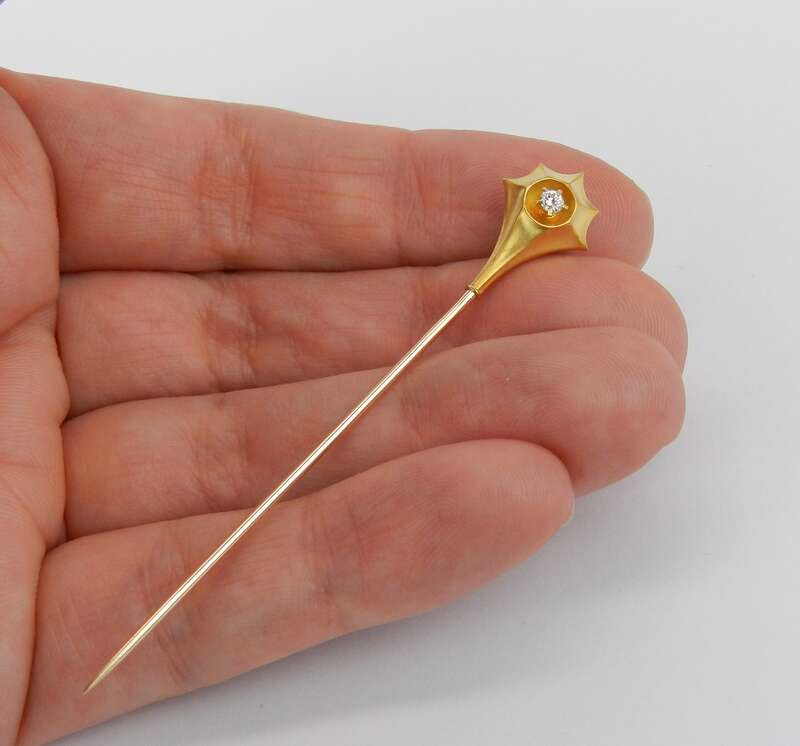 14K Yellow Gold Antique Old Miner Diamond Stick Pin. 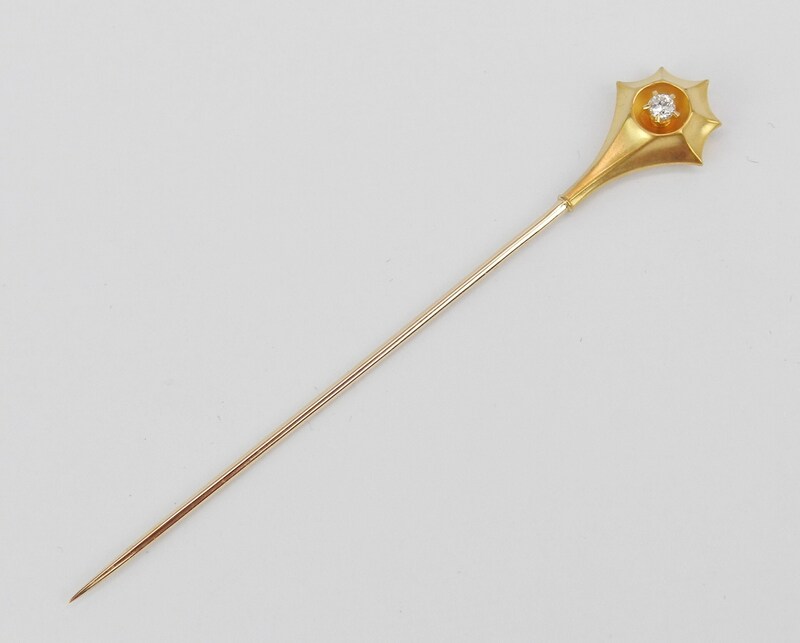 This stick pin is set with one natural Old Miner Diamond. This Diamond is G color, SI1 clarity and weighs .10 carat. 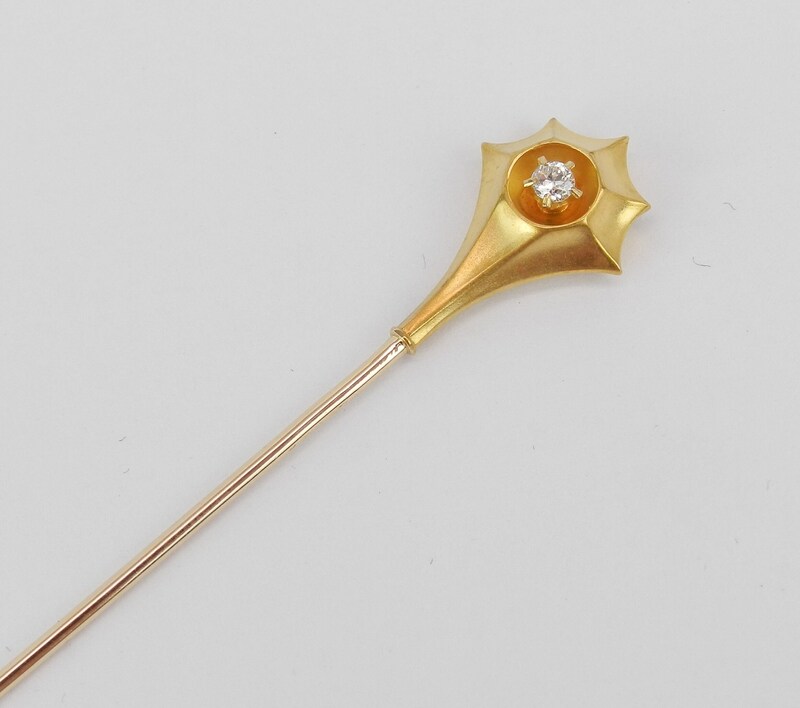 This pin is made of 14KT Yellow Gold and weighs 1.6 grams. 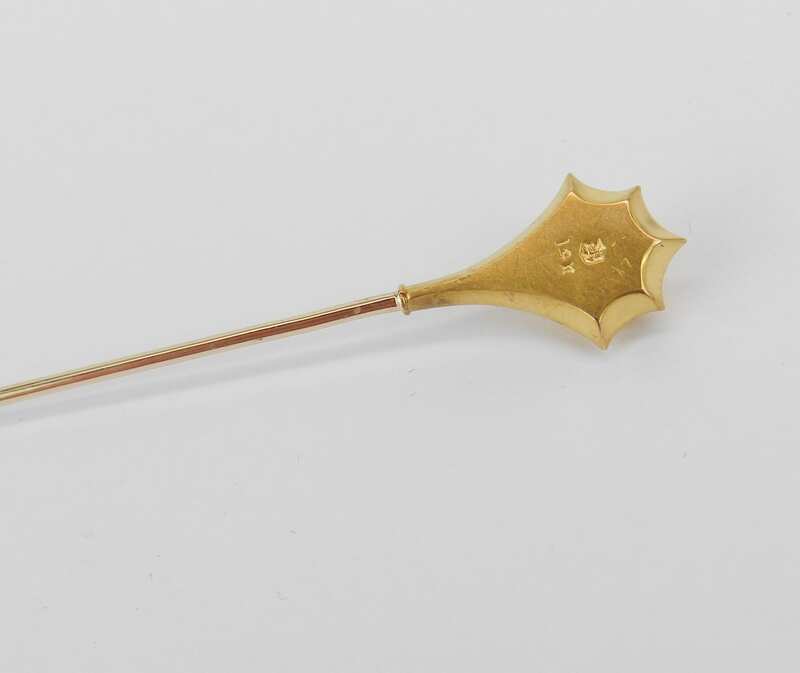 The top part of the stick pin measures 17 X 11 mm. 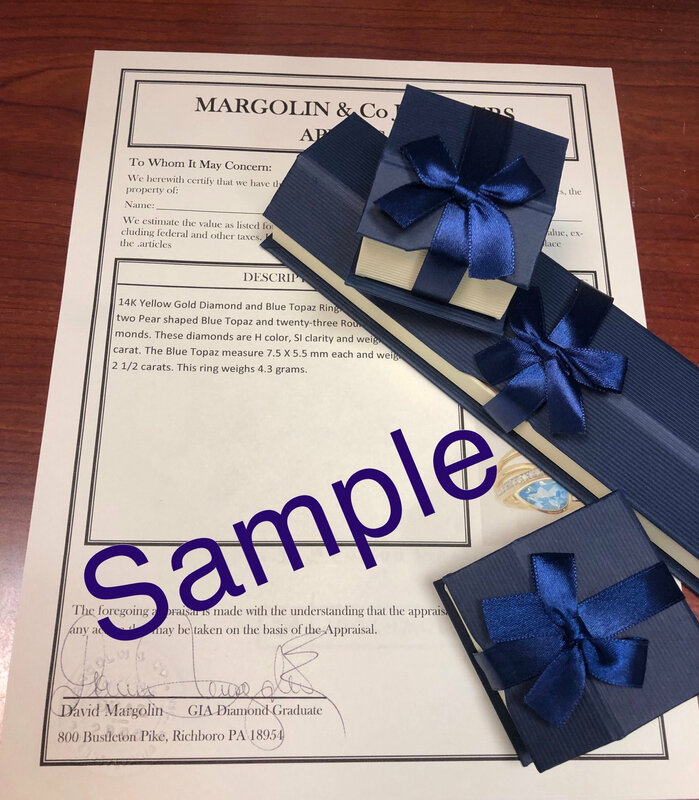 This brooch will also be accompanied by an appraisal by a GIA Certified Diamond Grader with the replacement value of $789.00. I will ship this pin promptly in a beautiful gift box.